Whether you’re exploring the health benefits of salmon, bonding over bass fishing on a trip with your family, or simply enjoying a hot tilapia filet, somewhere down the line an aquacultural manager probably had a hand in getting the fish to your table or even your boat. Aquacultural Managers raise fish and shellfish, which can include tasks like stocking a lake full of prize catches for a fishing competition, culturing clams with pearls for jewelers, or managing a fish farm. 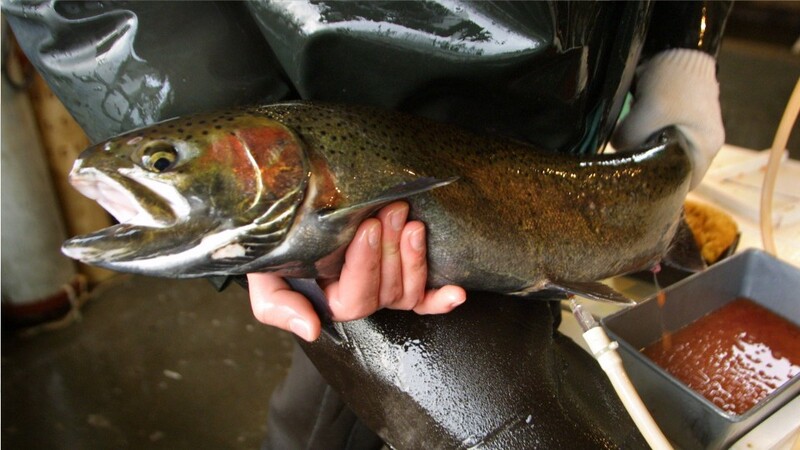 Most aquacultural managers have a bachelor’s degree in fishery science or a related biology, which supports their ability to train fish hatchery workers. As the aquacultural lifeform grows, reproduces, and is eventually released or harvested, these managers oversee the process, collect data, and evaluate health indicators for the stock. The job requires a lot of time outdoors with tanks or incubators. However, it’s not all scientific method for these professionals; they also have to use their administrative knowledge to develop and manage their budgets. And, they monitor regulations and safety standards, since using the wrong chemicals could endanger other workers or spoil the fish. See more details at O*NET OnLine about aquacultural managers. Aquacultural Managers by U.S. Department of Labor, Employment and Training Administration is licensed under a Creative Commons Attribution 4.0 International License.